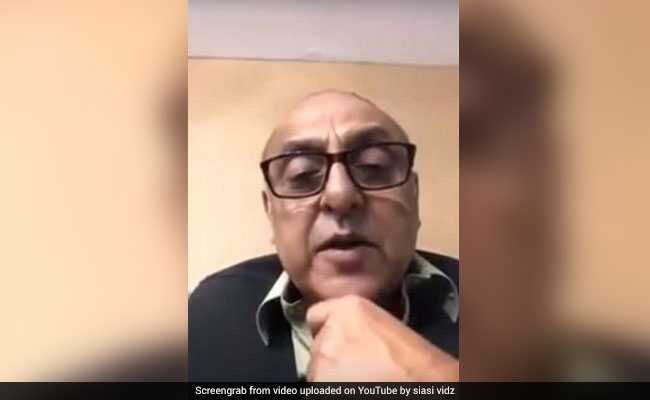 In a video message, Syed Sajid Hasan has narrated how an old acquaintance, a medical doctor, had been pleading him for nine years to get a hair transplant done from him. He accepted the plea around two months ago, but found it strange that prior to the "surgery", no medical tests were conducted, reported Geo News. Karachi: Veteran Pakistani actor-writer Syed Sajid Hasan has had a harrowing experience after getting a hair transplant. Mr Hasan stated that a day after the transplant process began, he fell sick and suffered an infection on his head as well as severe fever for 10 days. "However, the doctor kept assuring me that 'all is well' and this is normal procedure," he said. He added that during this ordeal, he remained passed out for 15 days but even then the doctor did not consider it a big deal and "kept cleaning the wound with saline water". In the video then, Mr Hasan bows his head and shows the wound inflicted on the top of his head during the surgery, saying "now the scene is this. I am suffering a lot, for his (doctor's) negligence and not cleaning the wound (properly). So is my family. I have been facing extreme problems for the last two months and had to suffer professionally too." This is Syed Hasan's way of spreading awareness and warning others seeking hair transplants. "Go to the right surgeon and do a lot of research beforehand," he said, pointing to the wound, adding: "This is what happens when you go to the wrong guy".